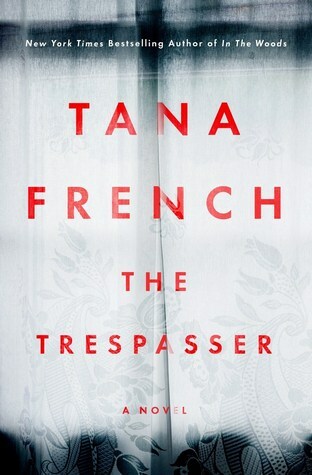 Review ~ The Trespasser, by Tana French. I must admit, I picked up this book in error. I had heard a lot of positive reviews regarding French’s books, and in particular, her Dublin Murder Squad series. Me being me, at midnight on a work-night, browsing Audible, I saw this book and thought “Oh, I’ll try the first book in the series”. It wasn’t until about chapter 10, that I realised that this is actually the 6th, yes, 6th, book in the series! However, even though, this is a continuing series, the characters come and go, and it just so happens that the characters in this novel, only featured in one other previous story. I missed a little background, but it was barely noticeable as I continued to read/listen to the story. The plot was a fairly standard “who dunnit” type deal, and I must say, there was a plot point introduced that didn’t seem to gel, and in my opinion, could have been left out entirely. In spit of these small misgivings, the tone and characters really carried this novel. Dark, gritty, and dirty, are some phrases I would associate with the tone, and the pace is fast, keeping the narrative at a good pace. The characters, on first glance, seem quite traditional; societal attitudes are still steeped in an air of patriarchy and French seems to spend quite a bit of time in establishing that the main character is a lone female in a squad of patronising and bullying males. Even though a lot of time, I was thinking to myself, doesn’t this police station have a HR department, the repetition of the antiquated attitudes actually reinforced the character development of Detective Conway. I really recommend this book if you want to escape for a while, and read some good police procedural fiction. Is it in my top ten? Probably not. However, it is a good little read in its own right, competing with a ton, and indeed winning, of other similarly themed thriller fiction.